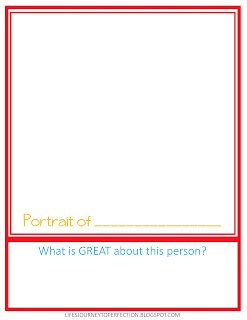 Give each family member a piece of paper (see printable above). 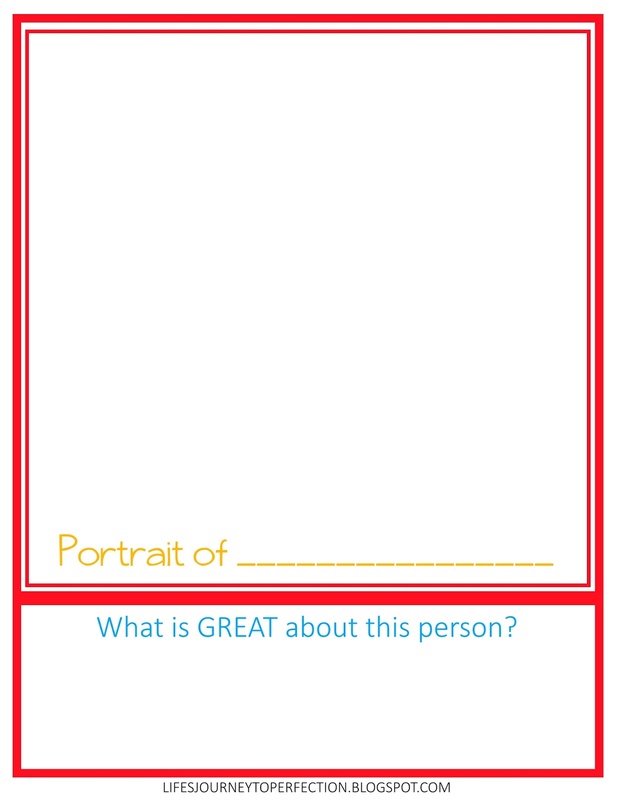 Invite them to draw a picture of themselves on the paper and then also write their name. When each family member is done. Hold up the picture of one of the family members. Invite each family member to say something good that they have noticed in that family member. It can be a quality that family member has, something they do, a talent, etc. Write those things in the box at the bottom of the paper. Continue with each picture, until each picture has a whole bunch of nice things written about them. Invite your family to share how they felt as they both said something nice about the other person as well as when something nice was said about them. 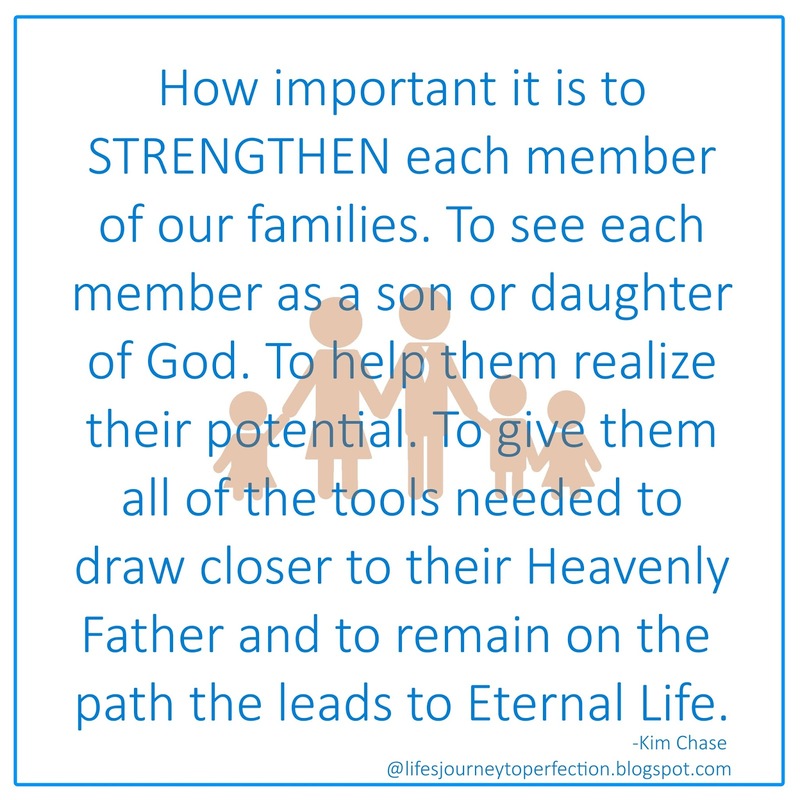 Ask the question, "How can we strengthen each family member?" Show your family a toothpick. Explain that this single tooth pick could easily be broken in half. Invite a family member to break the tooth pick. Explain that as a family we can strengthen each other so we can withstand the forces of this world that are trying to "break" us. Invite each family member to share some ways they can help strengthen each other. As they say something add a tooth pick. When all of the toothpicks have been added together, tape them together or wrap an elastic around them at each end. Invite a family member to try to break it. 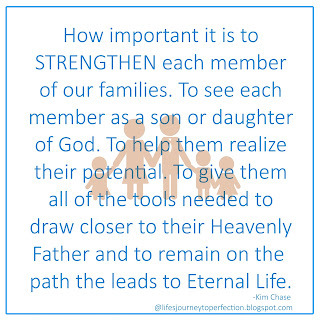 Invite your family to sincerely try to strengthen one another.